There’s been alot of hair-on-fire rhetoric (and some bridge burning) about HB 190 and most of it makes claims for the bill that are not true. The CZA is a remarkable piece of legislation and does a very great deal to protect Delaware’s coasts as far as it goes. What I suspect that the CZA did not envision was the current economy — an economy that means that languishing grandfathered sites are sometimes abandoned by their owners, leaving taxpayers (State and Federal) with the responsibility to at least contain the damage. John Carney specifically campaigned on changing the CZA and he was elected with precious little pushback by the same folks who are running their hair-on-fire campaign. I’m going to suggest that this bill may not have gotten this far if these folks had expended the energy then. Still, my guess is that this bill is going to happen. And it is going to happen because the Governor and others feel like this makes Delaware look like it is open for business — specifically for business that could employ some of the folks who haven’t recovered from the loss of auto plants, the downsizing and shutdown of chemical plants. If Delaware has lost 18 or 20K of manufacturing jobs in the last 35 years or so, we haven’t made those back up — in spite of being able to attract new facilities, expand old ones, retain some that are here. The need for this employment is real and it doesn’t do to ignore that. On the flip side, I can’t get a handle on what the expectations were of industrial sites that were mostly abandoned by their previous owners. If a site is abandoned it means that there is no one left to get to clean it up. Delaware taxpayers and the Feds have taken up some of that, and in the main (as far as I can tell for now) the state work is containment and major source removal. The level of cleanup that might make these sites available for other (non-residential) uses is not happening, at any of these sites. Certainly, the work that might convert these sites back into some lower-risk habitat is not occurring at a good pace at some of the abandoned sites. If you are paying any attention to the current budget situation, you will know that there won’t be any money for these sites except for the minimum containment activity or monitoring. If that. HB190 affects only the 14 sites grandfathered under the CZA for industrial activity. Heavy industry that is prohibited under the CZA is prohibited under HB 190. And this bill *adds* a new industry is added to the prohibited list — LNG facilities. New industry built on these sites would need to comply with all of the environmental regulations that govern their processes and discharges. And new industry is going to build and operate close to best practices mainly because that is how they stay in compliance. At least. 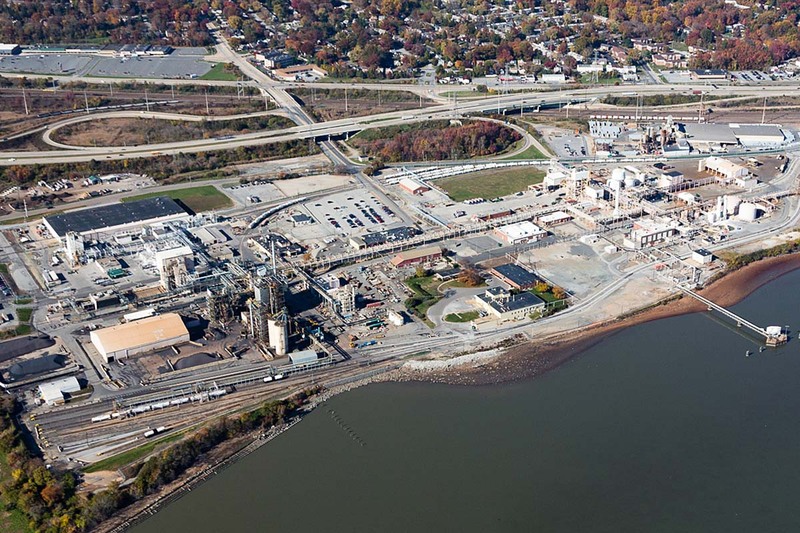 A site that is reclaimed for an industry (NOT one of the prohibited ones) is required to be cleaned up by the new owner — which would get some of these sites further into a long-term remediation solution. These cleanups are unlikely to be residential level cleanup, but further ecological risk could be reduced. And the buyer would pay — not Delawareans. New sites will need to provide proof of financial capacity to cleanup any contamination that they may cause. This can be in a few forms — insurance, bond, letter of credit or others. It is up to the DNREC Secretary to provide the rulemaking that defines how much is enough and this is a place to push for way more than token coverage. New sites will need a plan to mitigate sea level rise at these sites. This is another opportunity for the DNREC Secretary to provide some rulemaking on what this plan would need to look like and what would be deemed adequate. Probably the most problematic provision of this is the ability of anyone who takes over a site with an existing pier can apply for a conversion permit to reactivate the Bulk Product Transfer Facility. There is a process for this, and frankly I strongly suspect that the regulations that guide this process need a review that is targeted at reining in the fair amount of discretion (or so it seems to me) the DNREC Secretary has in this process. Nonetheless, there is a process here and this process does not guarantee that a BPTF will be allowed to operate. And the current lawsuit on the Delaware City permit is not yet resolved. The outcome here could change much about how BPTFs are permitted. Site usage for *just* bulk product transfer is specifically not allowed. Conversion permits for LNG transfer are specifically not allowed. The biggest red flag to me (beyond the BPTF issues) is that I don’t know what relationship the new privatized DEDO will have to any of the process here. Certainly, even the old DEDO had no named role in the CZA or in this bill. But I would really want to hear some assurances that this group has NO POWER to give away any CZA goodies as the price to entice businesses here. I would want to hear that DNREC’s first job is to govern the land use within the CZA so that its goal of improving the coastline resources can actually happen. I would want to hear that this new privatized DEDO would be in the business of helping mainly good actors like Croda to expand here. So the HB190 does not propose a “gutting” of the CZA. It does provide a pathway to use some of the abandoned sites while getting them cleaned up. It does provide a pathway for current operations to expand those operations. It doesn’t let Shell Oil obtain a pristine site and build a refinery there. It doesn’t do much to update the law or regulations to streamline them for other uses like renewable energy (other than solar) or recycling facilities or help some small scale operations in the CZ get permitted more cleanly. And it can’t be a progressive thing to simply misrepresent an action just because you don’t like it. We should recall how that worked out for the effort to stop the deepening of the Delaware. Last item — in reading some of the pushback, it strikes me that there are two things in operation: an expectation that the CZA will somehow regain some of the natural resources of the coast that were destroyed or contaminated by old industries on Delaware’s coast and/or a very deep distrust of DNREC. You won’t regain those natural resources without cleanup and a serious environmental restoration. THAT’s the real failure of honoring the legacy of the CZA, I think. I can’t tell you whether or not getting these sites cleaned up so that their ecological risk is minimized is a state priority, but I can tell you that there hasn’t been enough money or staff in the State program to get some of this done for the abandoned sites. Trust that DNREC will do the right thing, however, is a real problem. I don’t know how to fix that, although funding DNREC appropriately so that it has the staff to actually do the enforcement and the review that is needed to be better custodians of the environment would be a start. And folks who are committed to a better environment have to participate in rulemaking opportunities in a smart and focused way. EDIT: Over at my last blog, I made it pretty clear that my day job was in the environmental industry. It didn’t occur to me to have to qualify that AGAIN here. Still. I don’t have anything to gain here — other than my taxes not being used to clean up abandoned sites. My current employer (which is something of a career shift for me) doesn’t do environmental work. None of my previous employers since I have lived in Delaware have been either a state-approved list of consultants for environmental work or had any of the previous contracts that would let you compete for state-led work. Because none of those firms wanted to work for the State of Delaware. So for those of you who are asking if I have something to gain from this, let’s pay more attention to what I wrote here. AND I would appreciate it if you wouldn’t just characterize this piece as being supportive of this bill. I am pushing back at one piece of unnecessary rhetoric. Cassandra, many thanks for this information. I had suspected that HB190 wasn’t exactly the “hair on fire” proposal being advertised on social media, chiefly because I don’t think either prime-sponsor of the bill would have advocated such legislation. But this additional information goes a long way in fleshing out my suspicions. So if I boiled this down correctly, it appears that HB190 passage would provision for third-parties doing additional cleanup and remediation at the identified sites prior to making use of them? Or, HB190 failure essentially leaves the identified sites as-is, given the current state budget projections. You are correct, Brian — this lets 3rd parties take up these sites for business purposes (but not for any of the prohibited uses) provided that they clean them up and provided that they provide some proof of financial capacity to deal with future contamination. If HB190 fails, nothing changes in relationship to any of the grandfathered sites. Any additional cleanup would depend upon the State doing it, identifying any remaining PRPs to get it done or perhaps getting the site as a high enough priority for the Feds to clean it up. Cassandra, a few points in reply to this. Delaware’s Coastal Zone is of global importance for ecological resources, including migratory birds, sea turtles, fishes, etc. etc. Significant population-level harm could be done to some of these species (for example the Federally Threatened rufa subspecies of the Red Knot) as a result of even a single accident at the wrong time of year. We all know that with these types of facilities, it is not if, but when, a spill or accident will occur. As responsible stewards of our natural resources, we should not tolerate increasing that risk in exchange for uncertain economic gain. By opening up previously degraded sites that are currently stabilized and/or in the process of reclamation, we are repeating the very same mistakes that were made on those sites a half century ago – namely allowing companies to potentially pollute the sites once more, go bankrupt, and walk away from the bill, exactly as has been done in the past. The financial assurances in HB 190 are insufficient to prevent that. I am not saying any company has that intent, but we have spent considerable taxpayer monies on remediation so far. Why would we risk that investment? Finally, and most importantly, we need to consider quality of life in our state. We are not going to attract new people and businesses to this state because we have a less rigorous Coastal Zone Act. Building on the investments we have already made in keeping our Coastal Zone as pristine as we have for the past 50 years is a better long-term bet! Delaware’s Coastal Zone is a treasure, and the centerpiece of a 3-4 billion dollar annual tourism economy. Let’s be careful about gambling on that resource. We need a thoughtful and open public process around the CZA. HB190 does NOT provide for discretionary approval of new BPTF that ONLY do that. It does allow for the application of a conversion permit for sites that have a pier; and that think that they need BPT to feed their business. So if a widget manufacturer cleans up a site and builds a facility, they can apply for a conversion permit to bring the required steel to their plant, for example. This gets to be a problem when a facility wants to bring genuine contaminants in by water — and that is subject to regulatory review now. The financial assurances in HB 190 are insufficient to prevent that. I am not sure how you know that without knowing the terms of the insurance, the bond, the letter of credit. The DNREC Secretary would have to create rules for that. The insurance I’ve gotten for sites has had a minimum amount dictated and an additional insured named. Bonds and letters of credit aren’t much different. It would leave the state with more resources than previous occupants left them with. By opening up previously degraded sites that are currently stabilized and/or in the process of reclamation, we are repeating the very same mistakes that were made on those sites a half century ago – namely allowing companies to potentially pollute the sites once more, go bankrupt, and walk away from the bill, exactly as has been done in the past. Industrial facilities have to operate with much greater regulation for emissions and waste disposal than those who were previous occupants of these sites. It is one of the reasons why so much of American manufacturing fled to places like China or Mexico. Places without anywhere near the pollution regulation that the US currently has. New facilities need to operate under 2017 rules, not those from 50 years ago. These regulations are not going to guarantee 100% clean, but little is. They won’t provide the kind of impact that the old sites did. One of the scenarios that I have been thinking about is whether this will allow the Delaware City refinery to receive refined fuels via tanker trains and bulk load them onto a tanker ship. The law seems to allow that as long as the fuel is “processed” onsite. This COULD be simply adding a fuel additive and considering that on-site processing. This would be an end-around on the current prohibition that would increase environmental risk, increase public safety risk and provide pretty much no financial benefit to Delaware. I think that this could be a problem as well. Not just for DE City –I could imagine that there could be any new operations to bring in something hazardous, provide some minimum change and claim that there is some giant value-add that end runs the rules as a specific business model. I don’t see HB190 as a way to stop that and nor would I put my trust in DNREC decision-making to stop that, either. From HB190: “An owner, operator, or prospective purchaser of a heavy industry use site that had a docking facility or pier for a single industrial or manufacturing facility on or before June 28, 1971, including a site that has been abandoned in fact or has been the subject of an abandonment proceeding, may submit an application to the Secretary of the Department of Natural Resources and Environmental Control for a conversion permit to operate a bulk product transfer facility that may be operated simultaneously with other heavy industry uses, industrial uses or manufacturing uses.” This could easily allow new BPTFs, since the only requirement is that the site must have once HAD a docking facility in the past. This would allow new BPTFs to be permitted on currently abandoned sites via the conversion permit process. My understanding is that something like 9 or 10 of the 14 sites would meet this test. That is correct and I didn’t really follow Cassandra’s counter argument. Cassandra were you just making the point that there would be no stand alone bptf like anchorage island? If so, I don’t think that counter argues the assertion that allowing new bptf is radically different from the CZA, which did not allow any new bptf whatsoever. This document has two types of BPTF in mind — one where BPT is the business and the other where there is a limited BPT to support the industry with the pier. So yes, the limited use to one site BPTF could apply for a conversion permit. BPTF as a stand alone business is prohibited with the exception of the Port of Wilmington. The only concern I have is the conversion permit process and if its review is rigorous enough. The same site that criticizes Trump’s withdraw from the Paris Climate Agreement based on short sightedness is now defending a bill that may jeopardize our local environment. Trump used “jobs” as his reasoning too. Typical politics mixed with healthy does of egocentric bias. While I’m sure Cassandra is working with the best information she has and writing in reaction to SOME of the opponents of this bill who have been full of hyperbole, this post perpetuates many falsehoods and, in my study, questionable interpretations of the CZA that are commonly being used in defense of HB 190. John Carney campaigned on “modernizing” the Coastal Zone Act and was unable or unwilling to elaborate or answer the most basic of questions: What is disallowed in the Coastal Zone that you would like to see permissible and why? This made engaging in this process impossible because no one knew what changes were being proposed. Many of these 14 sites are not operational, certainly not all of them are abandoned and this does not mean that only the state or the Feds have been on the hook for the cleanup. 7 of these sites’ prescribed cleanups are SOLELY funded by the property owners or former operators. Sort of. By allowing new heavy industry on these sites and not merely allowing the industry that was operational in ’71, new types of industry will be allowed. We’ve never had a coal fired power plant with a dock for transporting coal in the Coastal Zone, but that would now be permissible with a conversion permit. The tone of this debate seems to have taken a turn for the worse, which is unfortunate. I think the best thing anyone can do is read the CZA and HB 190 in their entirety- it’s not very lengthy and the language is accessible even if you’re not accustomed to looking at legislation. My issue with the need to prove resources for clean ups or remediation upon leaving the site is that there is no requirement for them to set that money aside. Just because they have it when they come in, does not mean they will have it when they leave or even during their time operating at the time of a spill. They should have to set some obligatory money aside up front. Also, one thing stuck out in your piece here that isn’t necessarily 100% on point. It seemed that you are saying heavy industry is still banned in 190, but it is not. The ban is removed on the 14 sites in question, pending a conversion permit. Finally, I have serious concerns about DNREC a being able to fulfill any further obligations when they can’t fulfill the ones they have now. We need DNREC and the current issues there in resolved before we do something like this. I can’t think of any better cart before the horse situation on the table right now. Is it gutting for the entire CZ? No, but it is pretty close to it for the 14 sites. Further, with the lack of sufficient input from the community and the many groups and stakeholders involved, we need to step back and take and gather he data needed before we make such a huge step forward. One other thing, after reviewing the DNREC report on what remediation is happening at all 14 sites, it should also be noted that only one site is being cleaned up at the state tax payers expense. Everything else is either federal, or far more often the company or parent company of the land owner. I don’t know how to attach that report but I could certainly email it if you want. your example of the widget manufacturer who uses the pier to bring in steel is NOT bulk product transfer under the CZA. The definition of bulk product transfer facility in 7 Del. C. 7002(f) specifically excludes “a docking facility or pier for a single industrial or manufacturing facility,” and what your widget manufacturer does has been consistently interpreted to fall within that exception (and thus not be a bulk product transfer facility). So when HB 190 talks about allowing a new bulk product transfer facility via a conversion permit, it is talking about an operation that brings bulk quantities of things to the shore and then loads them onto ships (or vice versa)–think of something along the lines of the Port of Wilmington but with a greater variety of potential cargoes. Given that the CZA prohibited all new bulk product transfer facilities, Matt Sarver is right when he says that HB 190 would “gut” that original prohibition (or at the very least significantly weaken it). And that sets a precedent of weakening the Act when the business community thinks it can create jobs. Some of the “hair-on-fire” rhetoric is looking down the road at this kind of consequence. So the concern is that, when HB 190 fails to produce much development, the business community will ignore the incorrect underlying assumptions and instead argue that the problem with HB 190 is that it did not go far enough, broadly enough, and so the CZA must be “modernized” yet again in a way that guts what little is left behind. You raise an interesting point concerning optics–that HB 190 could be designed to send an “Open for Business” signal. However, that is a most curious way to attract business to DE. The Coastal Zone is a narrow strip of DE, and the CZA has no effect on the rest of the state outside that zone. So it is unclear how HB 190 attracts business that could be built in the vast majority of the state. Further, given that manufacturing uses are allowed on these sites without HB 190, the message at best is “we’re Open for Heavy Industry Business.” It seems ironic that the business community–strong supporters of HB 190–said in their review of DEDO that heavy industry is not the future of economic development in the state. So there is at best mixed signalling going on here. What’s the solution? How about a stakeholder process in which all sides sit down and work out ways to “modernize” the Act. That is exactly the process used in 1998-99 to produce the CZA Regulations. Environmentalists and the business community both have issues with the Act; HB 190 only addresses (some of) the business community’s side. Let’s get it all on the table and reach a consensus, with give and take on both sides.